This is a big elephant. In some interviews it may be the only one. The best-qualified candidate can lose the role because a younger man or woman doesn’t want an older person working beneath them. If we examine corporate pyramids we see older people at the very top. Acceptable age limits are measured against a corporate norm. To engage with this problem, ask yourself: does success in the role mean being able to fit in with a young team, or will it be the result of experience and technical skills? If the team is young, your age is a factor, and for a good reason. But if the job requires experience and skills that you have, age should not be a problem. Do this: Ask the question at an interview. It’s a way of exposing the truth about the position and the corporate culture. A common excuse, when in fact someone may fit the profile of a perfect candidate, except for their age. However, there might be other reasons for an employer to say you have too much experience. They may think that you’re taking the job as a stop-gap, and that you’ll leave when you find something better. If they’re worried about you leaving after a year, you could offer yourself on a contract basis. Bring the objection into the open. Discuss it with the recruiter, and negotiate if possible. Do this: Tone down your CV and make it relevant only to the position you’re applying for. If your CV is loaded with experience, you’re the one who has told them that you’re overqualified. It’s a biological fact that we slow down as we age. But in the workplace, young people can waste a lot of energy. A mature person will often accomplish more in the same time frame, because the task is performed more efficiently. In the hare and tortoise story, the tortoise wins because he isn’t distracted, stays on track and completes the race with a slow, steady pace. He’s smarter than the hare; he knows his limits and works with them to succeed. He has also learned alternative ways of solving problems. Do this: Show enthusiasm for the position. If you’ve recently run a marathon, completed a cycling race or climbed mountains, drop it into a conversation. But don’t worry if you haven’t. It’s the projection of energy and perception of health that matters. In order to be effective you must project confidence. Does your appearance say you’re not looking after yourself? You might need to seek advice. But keep in mind that, under the Equality Act 2010, employers can’t discriminate on health and disability grounds, and they cannot ask questions about your health prior to the job offer. Even so, you need to first be honest with yourself and then, later, be prepared to be truthful with a potential employer about your general health. Do this: Investing in your health and appearance will always count in your favour. A recruiter may assume you aren’t as motivated or driven as someone younger because, for you, money is not an issue. Ironically, you may need the money more than a younger candidate. The mortgage still has to be paid, there’s university for the kids, and there may be the cost of caring for a parent. Countering this prejudice is tricky. Being too needy is always negative, yet appearing to be the opposite can also cost you an opportunity. Mention reasons why you’re the best candidate: focus on personal fulfilment, a desire for new challenges and experiences, and your motivation for success, which can include financial rewards. 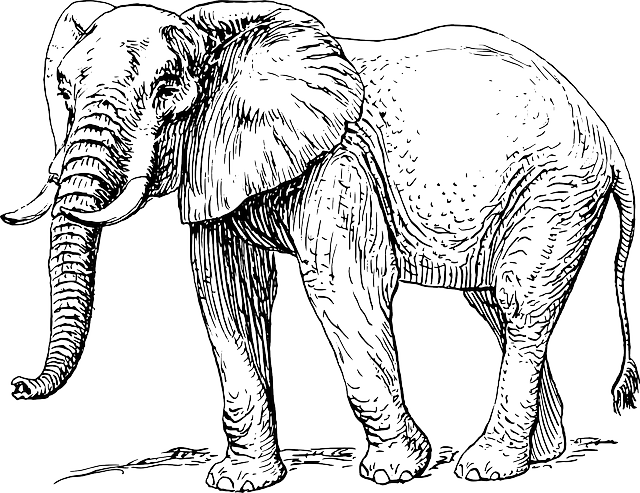 Do this: If you sense that this elephant is working against you, see if you can have a quiet word with the most senior person at the interview, or by private communication. Sometimes they will take a kinder view if they know your situation. Fluid intelligence is the capacity to think independently of acquired knowledge to apply logic to problem-solving. It includes inductive and deductive reasoning. There is evidence that, as we age, our fluid intelligence wanes. On this basis young people tend to perceive those who are older as slower, and therefore less mentally agile. Crystallised intelligence is knowledge gained by experience, and includes verbal skills, general information and the ability to create analogies – it adds up to wisdom. Evidence shows that crystallised intelligence increases with age, remains stable, and doesn’t begin to diminish until after the age of 65. This effect varies greatly, with many people maintaining their crystallised intelligence to an advanced age. As an excuse for not hiring an older person, this objection doesn’t have a foundation in science. Do this: Prepare for interviews by memorising salient facts about your prospective employer and your industry. With current knowledge to hand, you’ll appear as bright and ready as a younger candidate. Every stereotype has some basis in fact. Some employers may already have someone on their staff who is older and set in their ways. They might also project the characteristic on to every older person they meet. This could fairly be called a prejudice, one that is difficult to fight. Mature people are often better than their younger counterparts at dealing with change in the workplace because they’ve already learned to adapt to variables of every sort. For example, the recent recession is the first one that many younger managers will have seen. Someone in their 40s or 50s will have lived through at least two downturns. Your experience in managing situations through tough times proves you know how to handle changes. Do this: Search your history to find evidence of where you changed in order to achieve new goals. Have several stories prepared to support your claims.